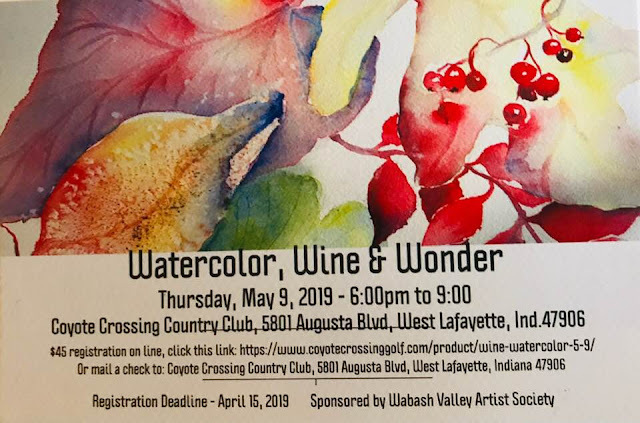 The last Watercolor, Wine and Wonder was such a success, the WVAS is having another one! 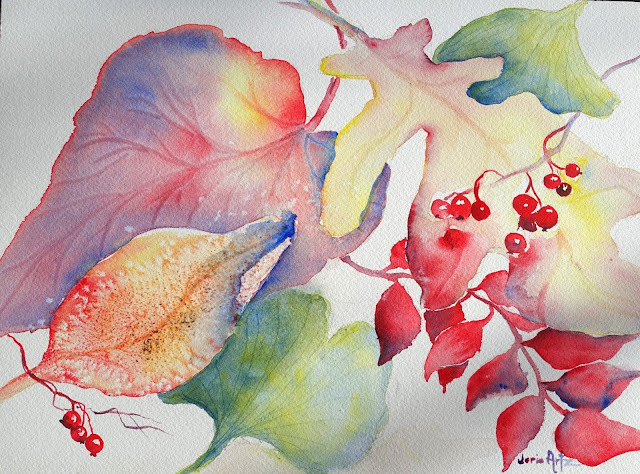 Join us Thursday, May 9, from 6:00 - 9:00pm, at Coyote Crossing Country Club, West Lafayette for an evening of painting vibrant watercolor leaves taught by Jerie Artz and LaDonna Vohar. No previous painting experience is necessary. Additional refreshments available for purchase. 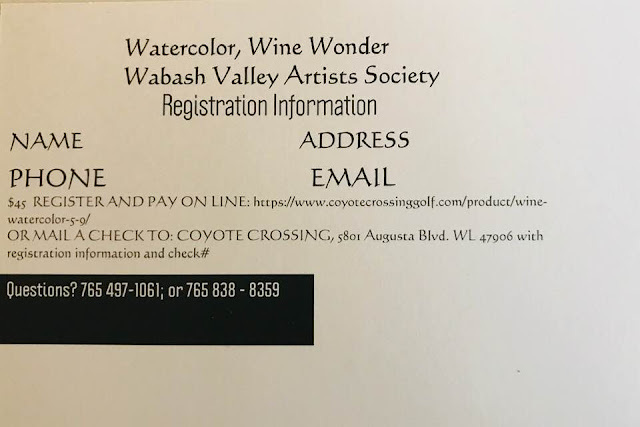 Registration deadline is April 15 - Details are on the postcard. WVAS Recent Past and Coming Events! It's been awhile since this blog has been updated, but that doesn't mean that the Wabash Valley Artists Society has been inactive. We just hosted a watercolor workshop, Saturday, March 30 given by Terry Armstrong. Fifteen enthusiastic artists spent the day learning to paint a water landscape. It was a great day. Tuesday, April 16 The WVAS will be making a field trip to Twin Rocker Handmade Paper in Brookston Indiana. Founder, Kathryn Clark, will give us a tour of the paper making facility and tell us how their wonderful paper is made. There will be opportunity to shop for some of the beautiful handmade paper while we are there. Details to come! August 20th - Potluck, Annual Meeting at the home of Rachel Lattimore, 1208 Logan Street, Lafayette, 6:30. 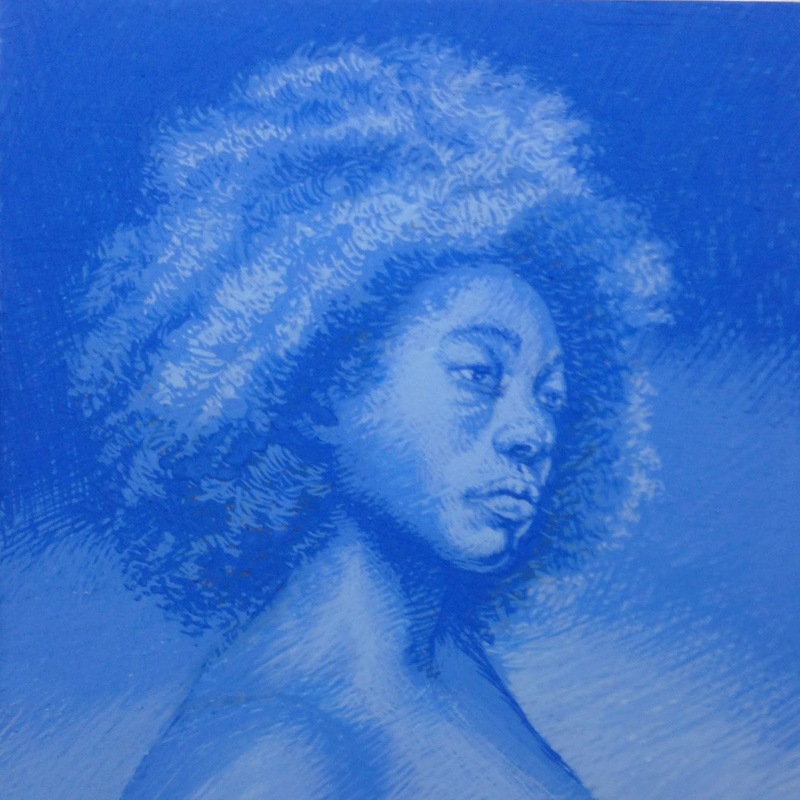 Bring something to Show and Share of your current art work. Thanks Rachel for your hospitality! 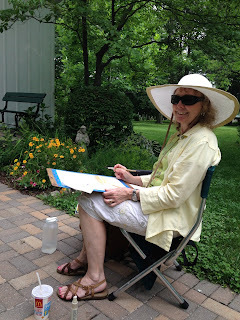 Summer is here - warm, long summer days - great for painting plein air. It's our summer theme. Jeff will be giving a demo on the museum grounds. 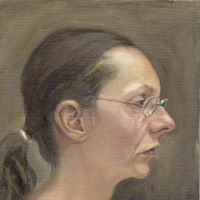 Come and see his approach to plein air with his medium - oils. 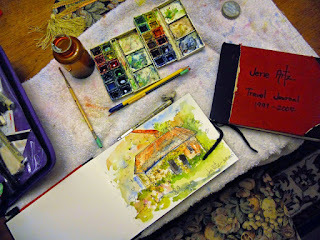 ​Jeff's plein air demo 4 or 5 years ago in front of TAF. Meet at the art museum at 8:30 to carpool. Paint out begins at 9:00. Coordinator - Rachel Lattimore, (217) 402 - 5067. This is your chance to try plein air painting, if you have never experience it. For those of you that have, you're most likely already hooked. Becky Brody is the coordinator for the exhibit. 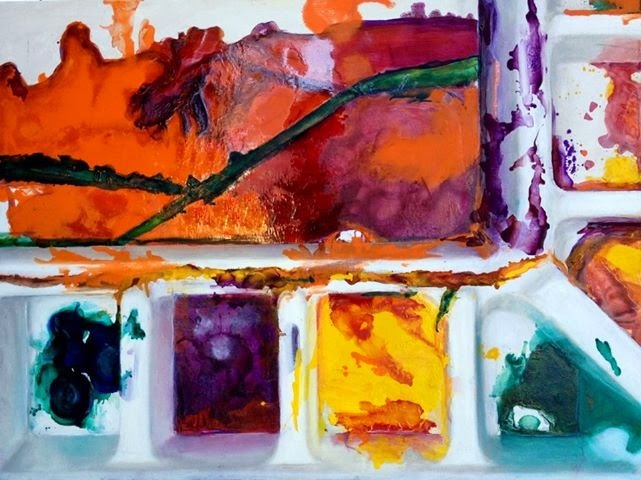 Diane Cambareto is handling the change out of art from Harrison College. You will hear from Becky if you have taken your art home. Does painting outdoors seem intimidating? Here is your chance to "dip your toe in the water." 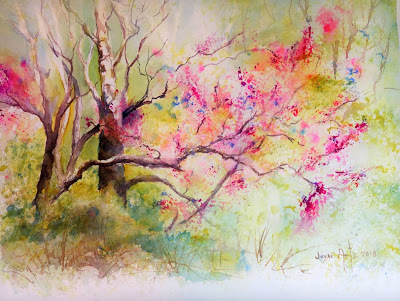 Tuesday, June 16, 7:00pm at the Lafayette Art Museum, Jerie Artz will share tips on painting "plein air" and you will have the chance to go outside and paint. 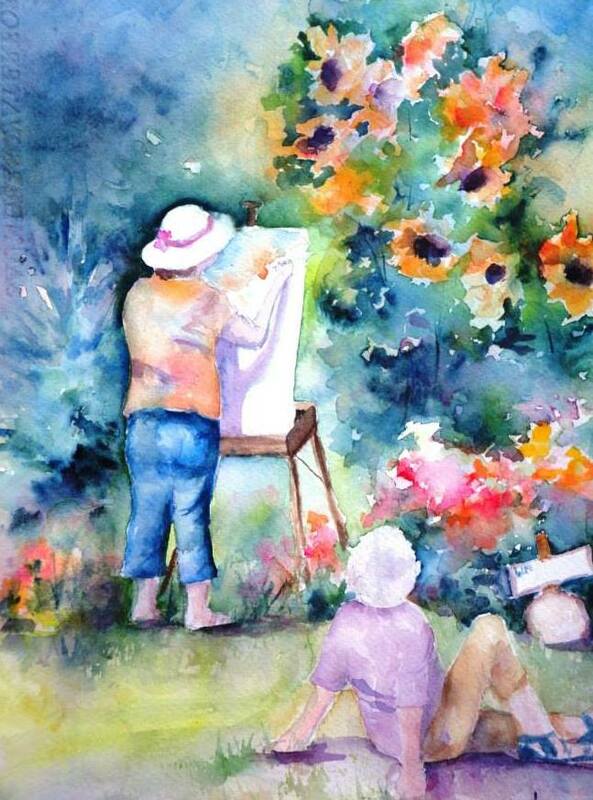 Bring supplies for the medium you enjoy working with, a camp chair, or TV tray, or easel, or just come and find a rock to sit on, but the demo will be watercolor. Try it - I think you will like it! at Cynthie's home, 1301 Center St. Lafayette, call Marilyn Martin for details, (574)274-6861. 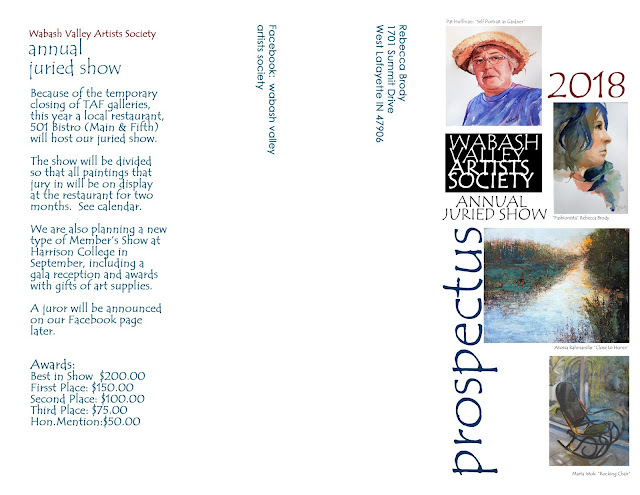 We had 60 entries, 60 paintings juried in by Terry Lacy. Due to a change in venue and month, the show will be held in stages at Bistro 501 restaurant this year. See details on the flyer!